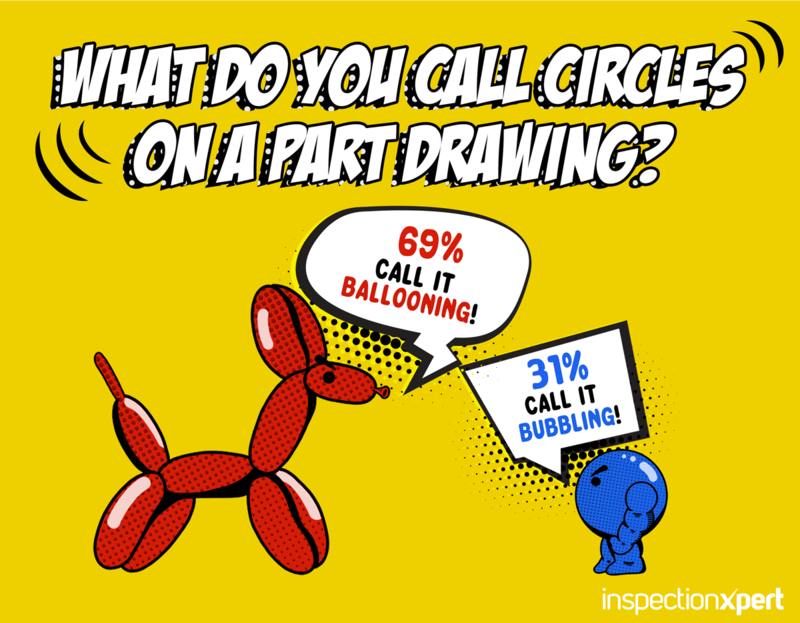 Here at InspectionXpert we've been debating for years, what do you call circles on a part drawing? 60% of our team calls it ballooning, while the other 40% are adamant it's bubbling. So last week we built a quiz to find out what you call circles on a blueprint. Ballooning won by a landslide. And people who call it ballooning have very strong opinions on the matter! Mike said, "Ballooning, duh! Bubbles are for the bath!" 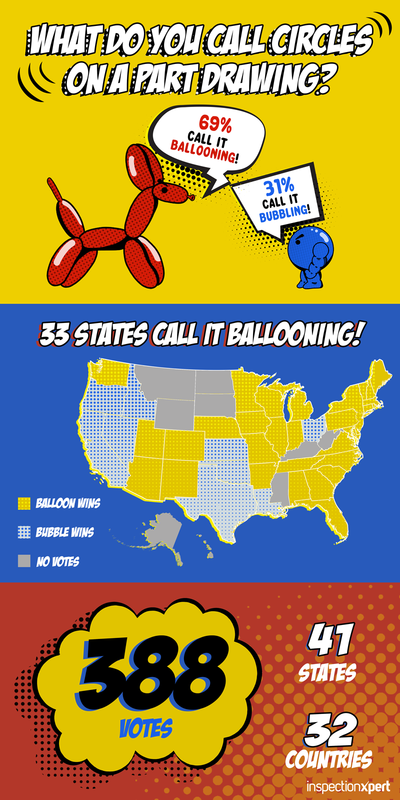 Out of the 388 votes we collected over the last week, 69% voted for "it's called ballooning!" while 31% said "it's called bubbling!". You can see a breakdown state-by-state in the graphic below. Outside the US the trend continued for calling circles on a part drawing ballooning. Canada, India, the UK, Mexico, and Australia all voted for ballooning. The only exception was Germany, where we had 5 votes for bubbling and 3 votes for ballooning. The debate isn't over yet, as any statistician will tell you we don't have a large enough sample size to settle the argument, and we didn't get votes from 9 states. We're going to keep the Balloon vs. Bubble page up, and we'll be updating these results once we get over 1,000 votes. So if you haven't voted yet, what do you call drawing circles on a part drawing?